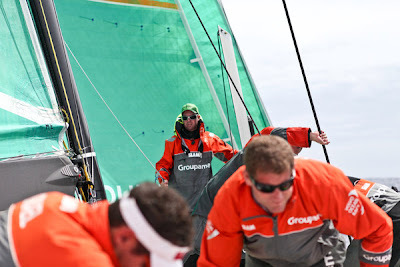 Overall race leaders Telefónica were breathing down the neck of Leg 7 frontrunners Groupama on Wednesday following an exceptional 24 hours that saw them knock 25 nautical miles off the French team's advantage -- while further back in the fleet, CAMPER were among teams eyeing up a drastic change in course. After overhauling PUMA Ocean Racing powered by BERG, Iker Martínez’s Telefónica snuck up on Groupama, leaders of the 3,590-nm leg to Lisbon since day one, and at 1300 UTC just 3.8 nm split the two. 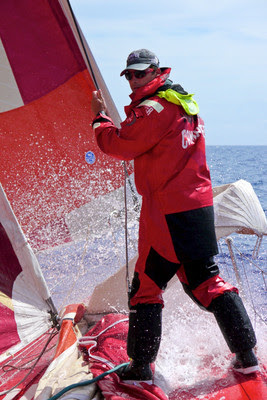 The teams had hoped for a direct path to Lisbon, away from the more traditional route high into the North Atlantic to dodge the Azores High, a huge high pressure system that sits in the centre of the ocean. But unstable weather conditions ahead could see the teams cut their losses and head north on a more customary route as far north as Canada. 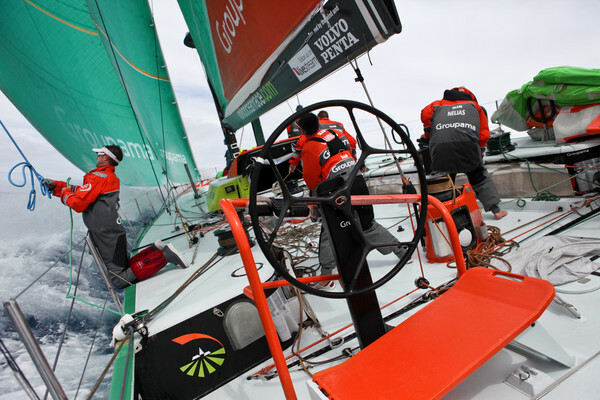 Martínez said the decisions made in the next 36 hours could prove vital to long-term success as they approach light winds. Telefónica hold a seven-point lead over Groupama at the top of the overall standings, with CAMPER and PUMA also well within striking distance respectively 13 and 14 points off the pace with three offshore legs to complete. 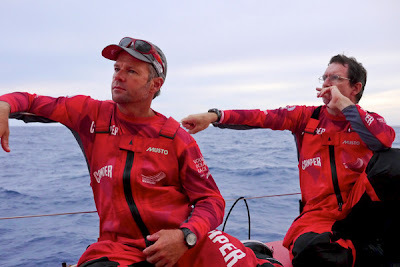 While the frontrunners made plans to avoid the light airs ahead, CAMPER with Emirates Team New Zealand, who dropped from second to fifth at the hands of Tropical Storm Alberto which engulfed the fleet on Tuesday, were considering a radical break to the north. “The routing is showing two quite dramatically different solutions right now,” navigator Will Oxley said. 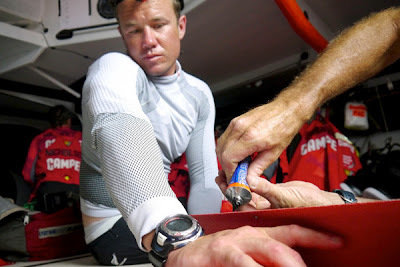 “If you are slow you need to bug out now and go well north to get above the high pressure that’s coming in from Canada. If you are fast enough you can slip through to the Azores High and play the edge of that with the front. 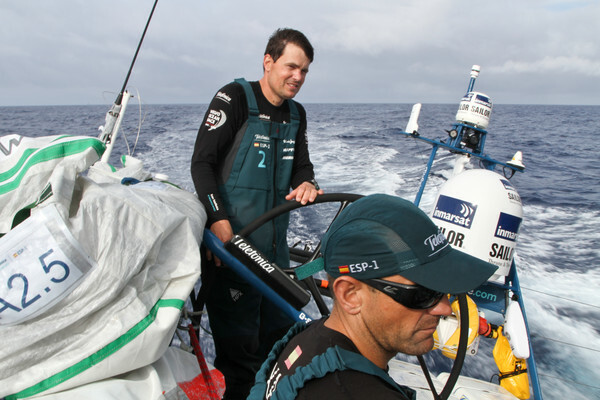 After stealing third place from PUMA Ocean Racing powered by BERG, winners of legs 5 and 6, spirits were high on Abu Dhabi Ocean Racing as they fixed their sights on Telefónica. 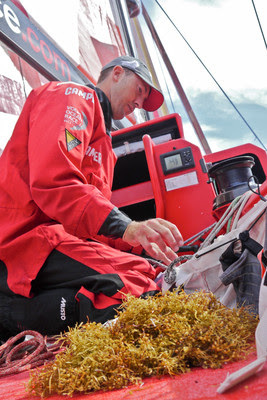 “It has been a very good 36 hours for the team on Azzam,” skipper Ian Walker said. “Our move to the north paid good dividends and for a while we were in sight of Telefónica and took third place in the standings from PUMA. 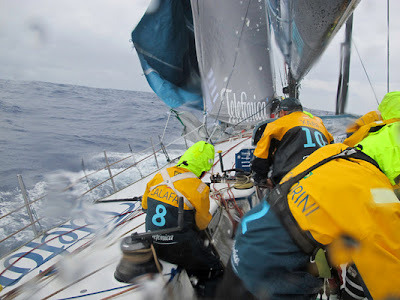 “Sadly Telefónica have again demonstrated their pace to us by sailing away from four miles in front of us to 22 miles in the last 24 hours. Once again we will have to be patient and hope that an opening happens later in the leg for us to get back at them.